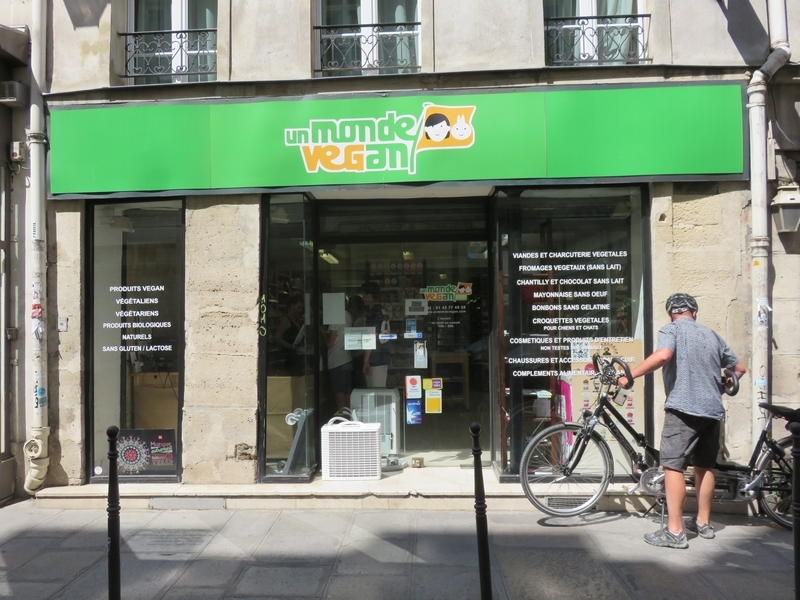 Shop review #36 – Un Monde vegan is a vegan shop in the center of Paris, on the north side of Le Marais. 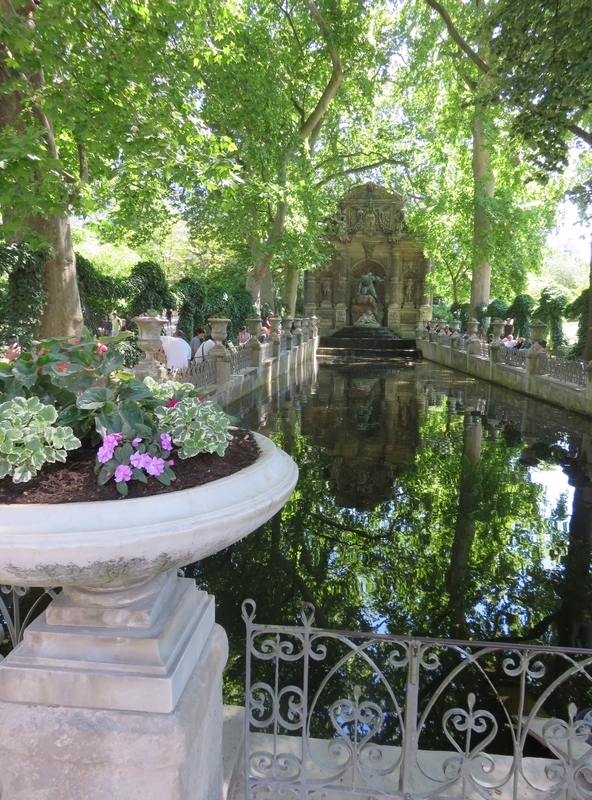 We paid them a visit during our city trip in Paris, in June. 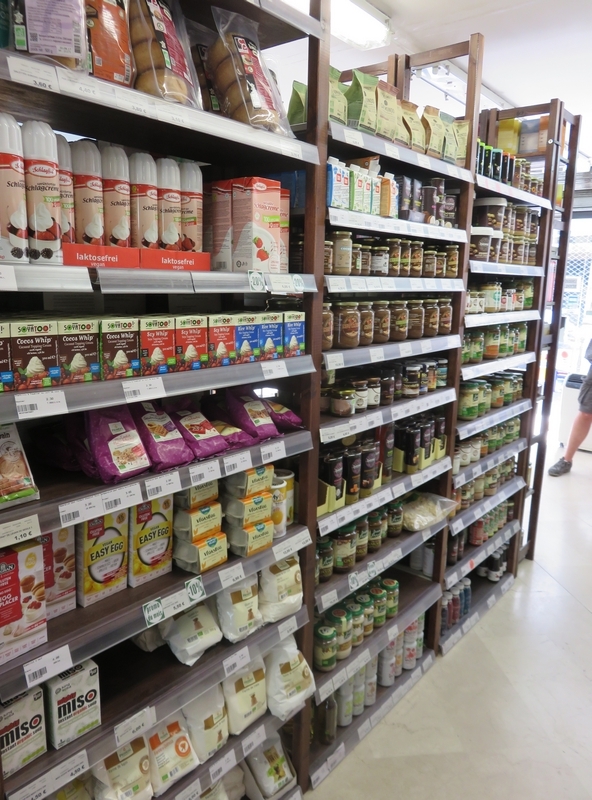 It is a reasonably sized shop, comparable to the size of organic stores like Biovita and Origin’O in Belgium. 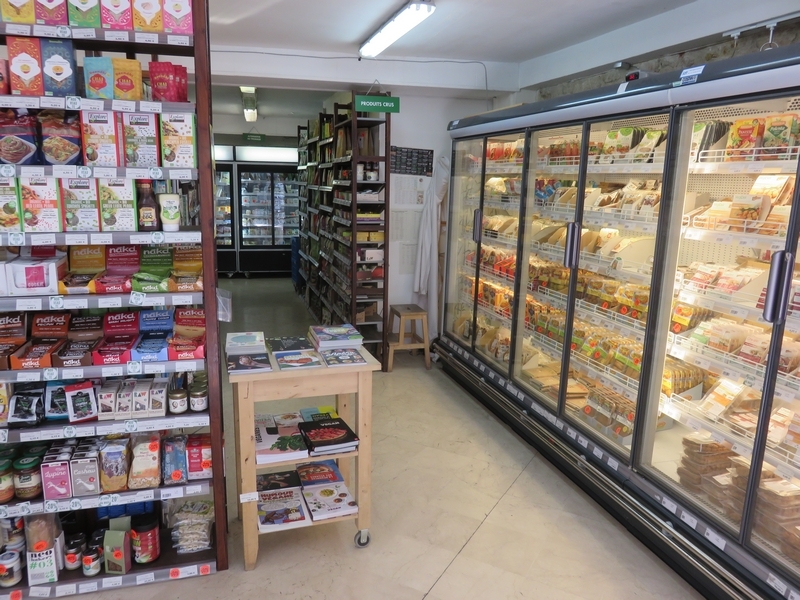 Un Monde Vegan is stacked with vegan goodies, from the usual suspects like plant milks and vegan burgers, but also books, icecream, cheezes and cosmetics. It is so exciting but also relaxing to look around in an all vegan shop. Not having to check labels to see whether any goods contain animal products (which seems to have become second nature 😉 ! We had the same feeling when we visisted the vegan shop Veganz in Vienna. We couldn’t do any real shopping, as we were with our tandem bike. But we did buy some drinks, as it was a very hot day in Paris! Thanks for this info! 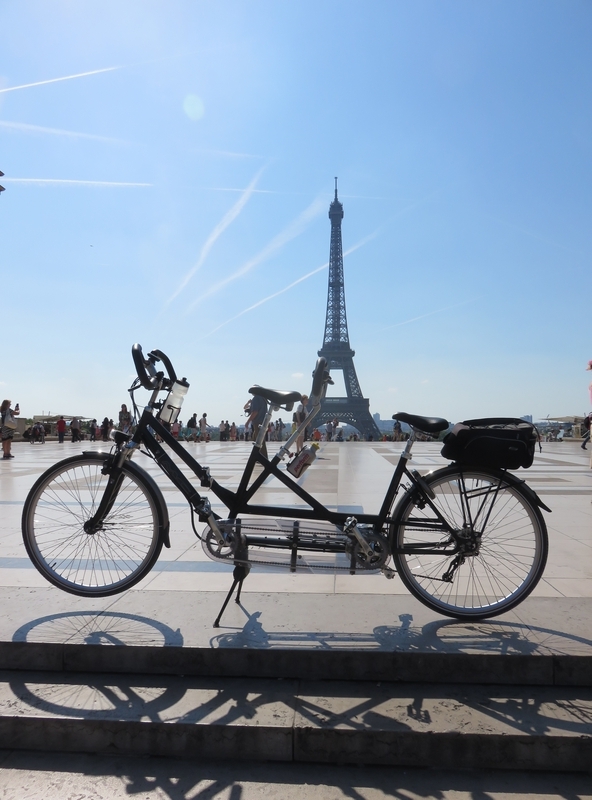 I love Paris and can’t wait for my next trip. This’ll make it that much more inspiring! I am so looking forward to going here!! Thanks. Paris has certainly changed a lot on the vegan front recently. There are so many options now!